The American manufacturer has prepared several nice changes for the 2019 Buick Envision. Originally introduced in 2014, this luxury crossover came to North America two years later. After several years of presence on the various markets around the world, it was about time to see some changes. For the next year, this crossover gets several interesting novelties. An updated model has already been present and we can see few tweaks outside. Most of them will be at the front, but other areas will suffer as well. Besides exterior changes, there is also a big change under the hood, where 2019 Envision gets a new transmission, as well as some nice torque bump for the optional turbocharged engine. On the inside, there are few interesting novelties too. Finally, this crossover is going to be cheaper compared to the current model, despite all these interesting changes. Exterior changes are always noticed first. 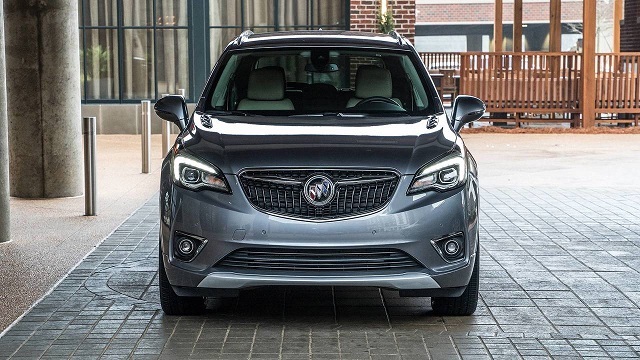 The 2019 Buick Envision is not an exception at all. There are several tweaks on various parts of the crossover, but we can’t say that there are some epochal changes. Of course, the majority of changes is at the front. First of all, there is a new grille, which now features a pattern like the rest of the Buick’s lineup. Also, there are new headlights, as well as few new details at the front bumper. On the other side, rear end comes with the new taillights and that is probably all in terms of styling. Of course, expect few other tweaks like new colors or something like that. On the inside, things are pretty much the same when it comes to the look. On the other side, we are about to see various tweaks when it comes to lists of standard features etc. 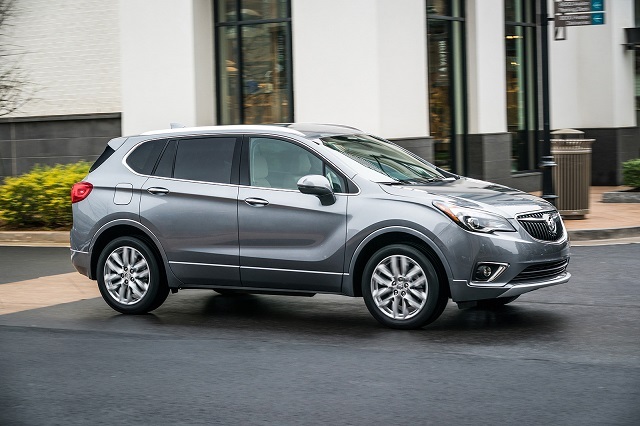 The 2019 Buick Envision will continue with same trim levels, but each one should get some new things in standard equipment. In the current version, the base Envision trim includes things like 18-inch wheels, dual-zone automatic climate control, power-adjustable and heated front seats, 8-inch touchscreen, a rearview camera, smartphone integration etc. The next one is Eligible, which adds few more options. A mid-range Essence seems like a reasonable choice. It adds things like three-zone automatic climate control, leather upholstery, a heated steering wheel, driver-seat memory settings, heated outboard rear seats, and blind-spot monitoring with rear cross-traffic alert. The Premium trim includes things bigger wheels, bigger touchscreen, parking sensors, a seven-speaker Bose premium audio system etc. Finally, there is a Premium II trim, which adds xenon headlights, automated parking system, a navigation system, a head-up display and much more. 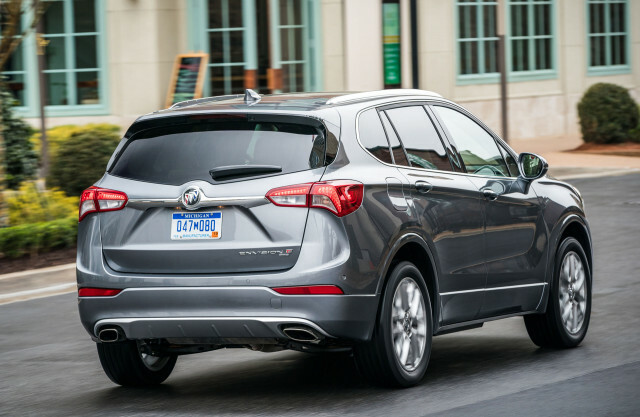 Probably the biggest novelty for the 2019 Buick Envision is a new 9-speed transmission, co-developed with Ford. The new transmission comes in a pair with an optional 2.0-liter turbo inline-four engine and it allowed a nice torque boost of around 35 pound-feet. So, this engine now delivers around 252 horsepower and 295 pound-feet of torque. These numbers will be enough to drop 0-60 time to less than 7 seconds. On the others side, base 2.5-liter engine remains the same. It delivers around 197 horsepower and 192 pound-feet of torque and continues with the same 6-speed automatic gearbox. For the Chinese market, there is also a smaller 1.5-liter engine in the offer. Another novelty for 2019 Buick Envision is a change in terms of the price. The new model will be slightly cheaper. Base versions will no go around 33.000 dollars, almost 2000 less compared to the current model.